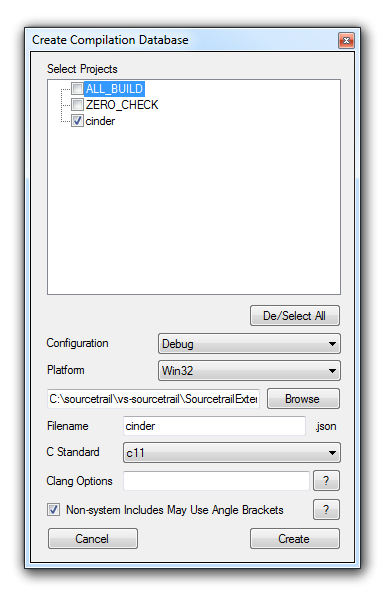 This extension allows you to synchronize Visual Studio with Sourcetrail, a Clang based source code exploration tool. Additionally it lets you generate a Clang Compilation Database for any Visual Studio solution, which can also be used to run other Clang based tools. 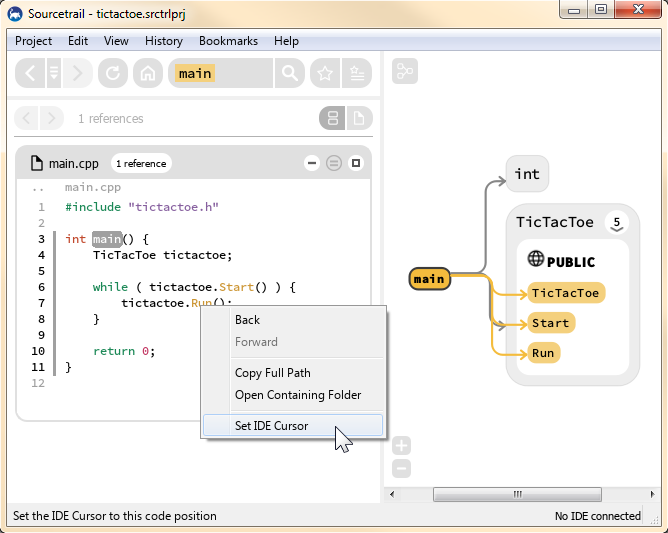 This extension allows you to set your Visual Studio text cursor to the source code location currently viewed in Sourcetrail. 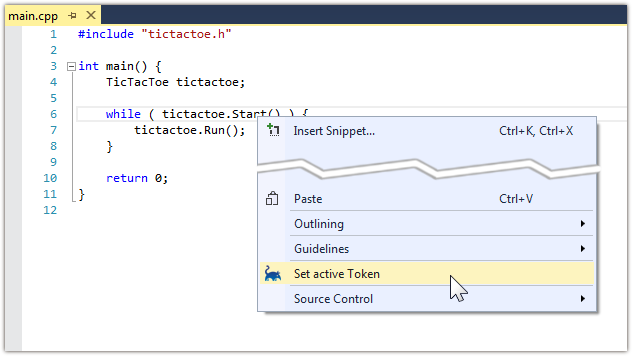 If the viewed file is not open in Visual Studio, the extension will open and display it automatically. Whenever you read some source code inside Visual Studio that you actually want to explore in Sourcetrail you can use this extension to activate the right-clicked symbol in Sourcetrail. As a Clang based tool Sourcetrail supports the JSON Compilation Database format for simplified project setup. This extension enables you to generate a JSON Compilation Database from your Visual Studio projects and solutions. The great news is: This format is independent from the Sourcetrail tool, so you can also use the generated Compilation Database to run other Clang based tools.